There are many reasons why people don’t start or keep up a food storage program. No money, no space, no time, no know-how. I identify with this very well: these have been my excuses (um, reasons) for not doing everything I could to protect my family’s future. But here’s what I tell myself these days: just do it and don’t give up! I live in an area where there’s no Costco, LDS center, or anything vaguely resembling either icons of food storage. Wal-Mart is a day-trip away and involves the use of not one but two modes of transportation that add at least $100 to the bill. Our local stores’ sales are more than what most of the country pays at full price: there is never a “loss leader” product, never a double-coupon day. There are no establishments here that will give me food-grade buckets or even sell me buckets. My husband lost his job a little while ago and we’re raising our small children in a one-bedroom extension. 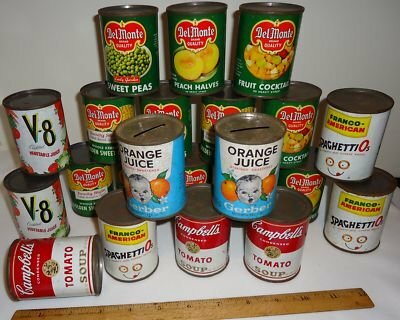 I sigh a little each time I read about buying $1000 worth of groceries for $46.23 or see photos of well-appointed household pantries. However, what’s true for me is true for the person with an unlimited budget and space galore: you can never be sure it’s enough. If I keep at it, I have just as much chance of making it through a crisis as Mr. Moneybags. Just do it and don’t give up! Educate yourself for free online. If you don’t have a computer, most local libraries have free computer services. The internet offers a wealth of information for the easily-overwhelmed and shallow-pocketed like me: how to work with a limited budget, reaching simple goals, finding space you never knew existed, alternatives to common storage practices, the best online stores and even regionally-adapted guidance. Not much time? Subscribe to email newsletters, Twitter or RSS feeds. Absorb advice from wherever you can but balance it by doing your research and by evaluating what works best for you in YOUR situation. If nothing else, make time to evaluate your budget. I actually found more money to use for food after my husband’s layoff than before it because I was forced to actively look at where our money was going. A few dollars trimmed here and there adds up. There is no down side to storing food: it will serve you in ANY personal situation, will not depreciate in value and, despite not knowing whether it will be enough in an emergency, gives you peace of mind knowing that you are at least better off than when you were giving excuses (sorry, reasons) about why you couldn’t begin. I’m struggling to achieve my goals on a shoestring budget from the nether reaches of the good ‘ole U.S.A., but I’m getting there. So will you: there really isn’t any reason why you shouldn’t start or keep up with a food storage program. Do it. Don’t give up. The back end maintenace, order processing systems, and general ease of use seem to be much better, which will allow me to update the store more timely as necessary. Product reviews area are available, plus I will be able to add informational videos about each item, which I hope to start doing soon! I hope all that means a better experience for our customers. In honor of the grand opening, we are offering a 15% off coupon for those of us who shop early while their still might be some hiccups with the new system. The Coupon Code is ‘Test15’. I’ll be offering a special 1-use 25% coupon to the first 25 customers who shop the store and provide feedback about the new site at admin@adviceandbeans.com: what they like, what they don’t, any errors encountered, etc. In order to accomodate the different items we are now offering, I was unable to do a blanket free shipping model (because now you can order 1 Mylar Bag if you want and aren’t limited to certain quantities). So what we are doing is offering free shipping on all orders over $50. However, we’ll also be doing free shipping on the combo-packs of Mylar Bags and Oxygen Absorbers we have available at the Original Store, so nothing should change for most customers and you will still get free shipping on any of the quantities we offered before. For those interested, the store is powered by Big Commerce. I’m not sold that it is the best e-commerce solution, but for now it should help us expand our offerings and provide better service to our customers. I hope you’ll come by and see us! Again, our new store is open at Discount Mylar Bags. You are currently browsing the The Food Storage Blogblog archives forMay, 2011.